At @Home furnishings, all kinds of products are available to indulge every whimsy related to home décor. The Peony Potted Plant, available in different colours, is one such product. This is an artificial plant that has a height of 30 m, with a length and width of 34 cm and 20 cm. Made of synthetic fibre and wicker, the product is easy to clean and maintain. It is durable and will last you a long time. 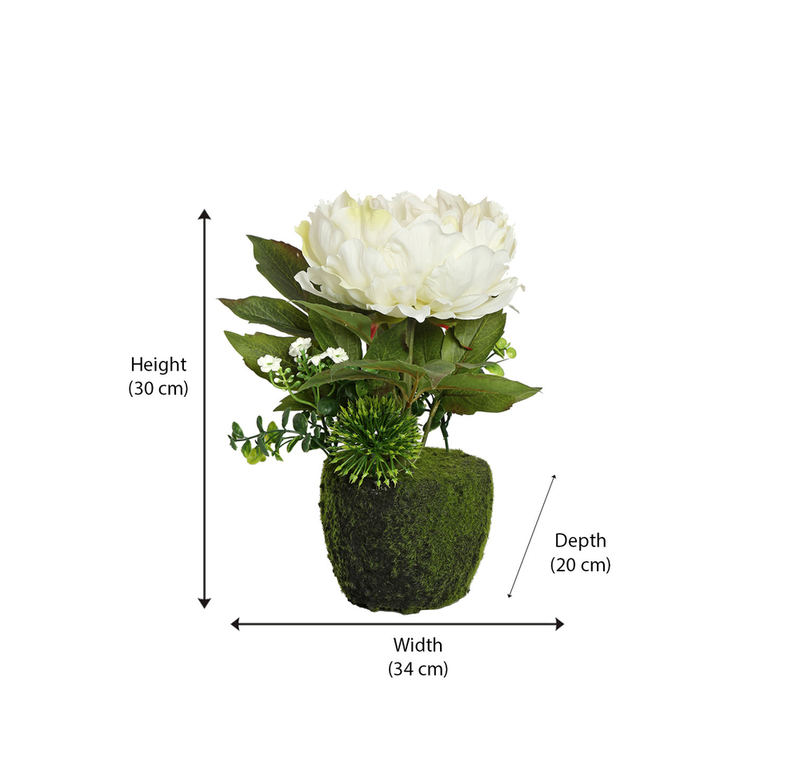 Though artificial, the Peony Potted Plant is lifelike and resembles an actual peony plant. The pot itself seems to be covered with moss, with a tuft of green leaves at the base. There is a large white flower at the top of the potted plant. Looking for something to reinforce the element of nature in your home? The Peony Potted Plant is surely what you are looking for. The artificial potted plant can help you avoid actual hassle involved in the rearing of an actual plant. The life-like resemblance to the actual plant can fool most people into thinking it is an actual plant. Buy the Peony Potted Plant in white from the @Home furnishings website and enliven your home. You can put it in your living room or in the dining area to improve the aesthetics of the setting.